Happy Wednesday Friends! I hope everyone enjoyed their Christmas yesterday with friends, family, and other loved ones! It was actually my first Christmas with Steven’s family – weird as we’ve been together for about 5ish years. We had a wonderful day. Next year our Christmas is sure going to look different. We actually didn’t do anything (decoration wise) this year as it was the last one EVER that we can do low key so we took advantage! Who got some great gift cards this year!? I sure did and can’t wait to do some shopping with them! I have some items in my Old Navy cart for Kennedy that she can wear next fall. One being a Faux-Fur Jacket! 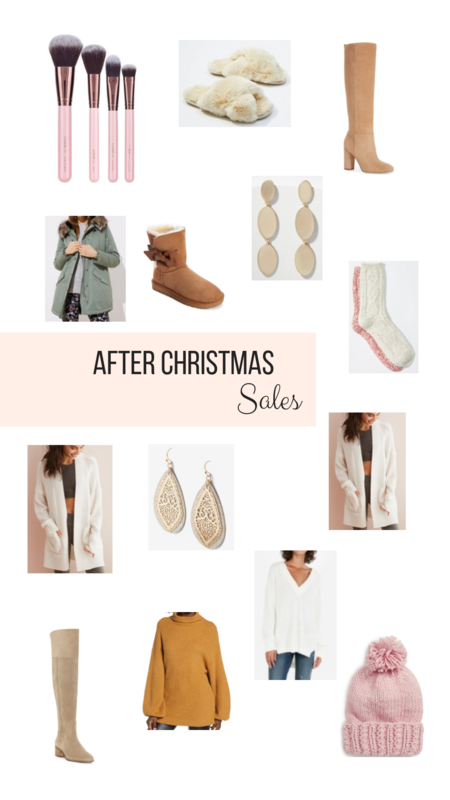 I wanted to share some pretty awesome sales going on right now! Some last through Jan 2nd – some end sooner. So if you can…don’t wait! Click any of the links (words in bold) below to shop or click a photo. You’ll be redirected to that specific website for shopping.